Zagreb: November 2009.Maksimirska Street is abuzz with activity as investigators reconstruct the scene of an attempted double murder from 1995. Vjeko Sliško and Juraj Dodić‘s trauma is being recreated, as police examine if their movements could have been spotted from an adjacent apartment building. As the agents go about their work, however, the assembled media are lathered by the emergence of an unassuming man from a nearby bank. Eduardo da Silva, Arsenal’s intrepid number 9, is bigger news. Twenty years before that day, a shy kid in the Carioca district of Bangu had only one dream – to emulate his idol Romário and play for Vasco da Gama. There wasn’t much to do in Villa Kennedy, the crime-ridden suburb near Rio de Janiero that a young Eduardo called home. Football was the only saviour from a life of crime, low-paid labour or worse, and while he had aspirations to make it as a professional, his coaches were less convinced. Eduardo was keen, but he lacked the size and talent necessary for competition at the highest level. Frustrated at being bypassed by the bigger clubs, he joined his local club CBF New Kennedy, determined to make good on hopes of a professional career. 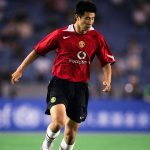 In 1999, he was approached by a scout from Croatian club Dinamo Zagreb. They were hardly a big name in Rio but they offered him a trial alongside his teammate Leandro. With offers in their own country not forthcoming, the boys took their chance, arriving in a frigid foreign country with a cryptic language and no support system. “I could hardly bear the cold and the snow, not at all,” he recalled later on, remembering the sight of an unfamiliar city from his hotel window. In the days before wifi and Skype, a lonely 16-year-old sought solace in constant phone calls to his mother back home. Already, however, there were signs of a special determination. Eduardo trained with all the intensity he could muster, impressing Dinamo coaches with his resilience and adaptability. He toiled away in the reserves, even concealing a hairline fracture of his foot for fear it would harm his chances of playing. Leandro was less fortunate, returning home to Brazil after a few months. Eduardo was now totally alone, but his performances helped abate his troubles. Even still, Dinamo coaches felt he wasn’t ready for the first team. In the winter of 2002, he was dispatched on loan to bottom dwellers Inter Zaprešić, after a brief return to Brazil with Clube Atlético Bangu. It was time to sink or swim. Ten goals and 15 games later, he was summoned back to the capital. The day after his 18th birthday, he signed his first professional contract. Present at the signing was Zdravko Mamić, an ambitious agent who promised to help him in return for a portion of his earnings. For a teenager focused only on making it to the first team, it seemed a fair deal. Buoyed by the club’s show of faith, Eduardo set about becoming one of the most dangerous strikers in the Croatian league. Slight yet elegant, he was a cunning finisher with excellent movement, scoring nine goals in his debut campaign as he was named player of the year. The following season, however, was when Europe’s big clubs took an interest. Starring alongside youngsters Vedran Ćorluka and Luka Modrić, Eduardo was the focal point of a skilful Zagreb attack, joint top-scoring alongside Ivan Bosnjak as Plavi wrought the title from their eternal rivals Hajduk. Any doubts that lingered would soon be quashed, as Eduardo finished the season with 47 goals, breaking Goran Vlaović 10-year goalscoring record in the process. He even had time to score a hat-trick against the hated Hajduk in one of his final games, before news of a move to London made the headlines. The Gunners were a club in transition. The sales of Thierry Henry and Freddie Ljungberg had removed the last traces of the Invincibles, whilst the move to the Emirates meant finances were constricted. Hamstrung by debt, Wenger had no choice but to implement a policy focused on youth, hoping a clutch of teenage talents could replicate the gritty brilliance of their predecessors. This was a new generation, with everything to prove and nobody to fall back on. By then, of course, Eduardo was a fully-fledged Croatia international, scoring a goal against Steve McClaren’s England in a European qualifier two years before. Initially, the mulleted-striker found life in England difficult, with Premier League defences giving short shrift to his waif-like tendencies. Eduardo’s unassuming demeanour was summed up perfectly by his choice of car – whilst his teammates pulled up in tricked-out wagons, he would arrive at London Colney in an orange Nissan Murano that he had arranged to be delivered from Zagreb. His football soon went up a gear, though. Arsenal had made a riveting start, with the performances of Robin van Persie and Emanuel Adebayor firing them to the top of the league. When the Dutchman sustained an injury on international duty, however, their nascent title challenge began to wobble. With the Togolese playing as a lone striker, Arsenal had been lucky to escape Anfield with a 1-1 draw. Wenger needed a Plan B. In late October, he found one. Arsenal travelled to Bramall Lane for a Carling Cup tie against Neil Warnock’s Sheffield United. 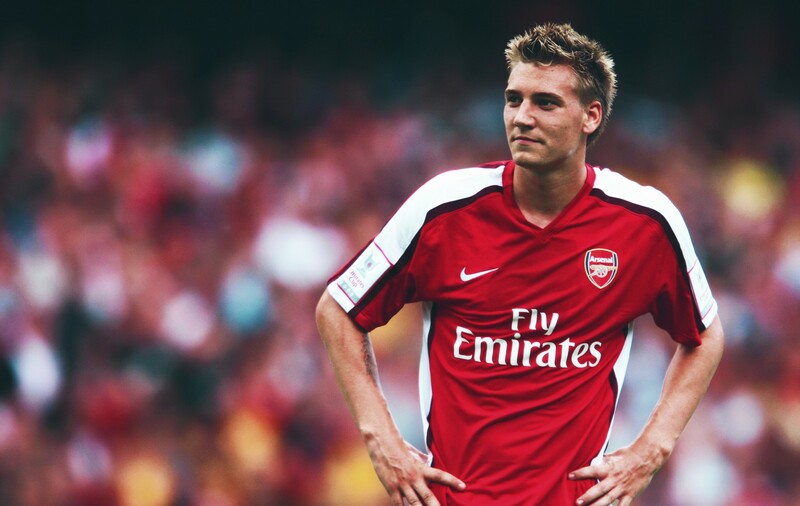 With seven minutes gone, Nicklas Bendtner played a simple pass into the feed of his new teammate. Controlling the ball instantly, Eduardo rifled an unstoppable effort into the roof of the net. He doubled his tally in the second half, breaking free of his marker to clip home a succulent finish. November saw Arsenal’s first loss of the season, with Eduardo scoring in a 3-1 defeat to Sevilla, but their good form continued into December as the Croatian tightened his grip on the first team. He scored his first Premier League goals at Goodison Park, controlling a Gaël Clichy punt to flick an impudent finish past Tim Howard. His second was even more casual, Phil Jagielka left prone as a curling shot found the American’s bottom corner. It was his fourth goal of the month, with two already secured against Blackburn in the Carling Cup. “He can be our new match winner,” Wenger marvelled, joining the chorus of Gunners fans who felt they were witnessing the birth of something special. By February, Arsenal were the favourites to secure their first Premier League trophy since 2004. Wenger’s men were five points clear, having lost just once in the league all season. With 12 fixtures remaining, they headed to St Andrew’s on 23 February to face bottom dwellers Birmingham. It was two days before Eduardo’s 25th birthday. With three minutes gone, the Croatian received a pass from Clichy on the half turn. As he nudged the ball towards a teammate, Birmingham defender Martin Taylor lunged for the ball. He found Eduardo’s leg instead. His tibia and fibula fractured instantly, the shattered bones rupturing the tissue of his standing leg as the force of impact dislocated his ankle. At first, the extent of the injury wasn’t obvious. It was only when Cesc Fàbregas started urging towards the bench that a sickening realisation spread throughout the ground, the Spaniard visibly shaken as the nauseating scene unfolded. Alexander Hleb turned away, putting his hand to his mouth as though he were about to be sick. Mathieu Flamini raged at the referee, whilst Emanuel Adebayor shook his head in quiet, disbelieving horror. Seven minutes and 40 seconds after the tackle, Eduardo was lifted off on a stretcher, an oxygen mask wrapped around his face as he curled into the foetal position. Wenger patted his player with paternal concern as physio Colin Lewin stared absently at the turf, numbed by what he’d just been confronted with. Everybody knew how bad it was – even the home support, who broke into sympathetic applause as the covered stretcher made its way towards the ambulance and, finally, to the nearby Selly Oak Hospital. Arsenal captain William Gallas was in a less forgiving mood, however. His side had just squandered a 2-1 lead, Clichy conceding the penalty from which James McFadden scored a late equaliser. It was the beginning of the end for Arsenal’s season. As the final whistle blew, Gallas sparked one of the most infamous episodes in Premier League history, kicking an advertising hoarding before striding off to sit in the centre-circle by himself. 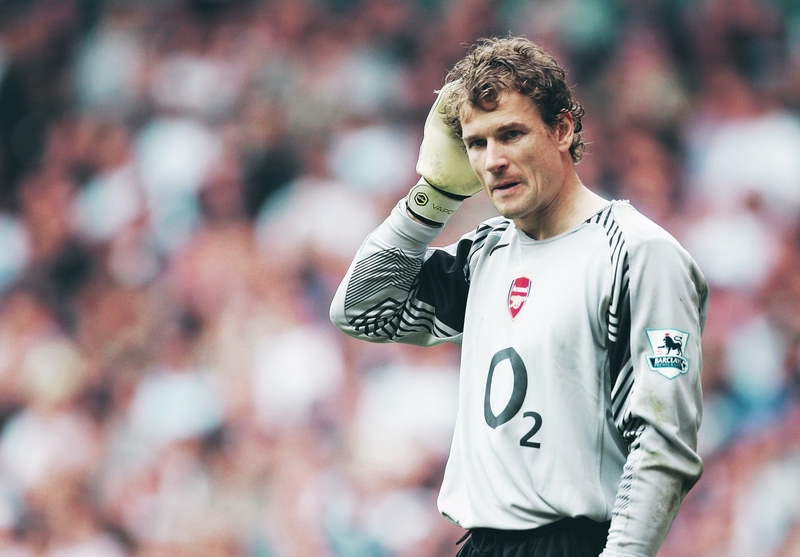 “Time for captain Gallas to spring to action,” a wry Jens Lehmann would later recall in his autobiography, lamenting the Frenchman’s embarrassingly public breakdown. Arsenal’s gaptoothed crybaby-in-chief wasn’t finished there, though. Back in the changing rooms, he accused Gilberto Silva of attention-seeking, a suggestion that had them nearly raining blows on one another. After the shock of Eduardo’s injury, the Gunners captain reacted in the most hideous manner possible. It was perhaps no surprise, then, that their title challenge evaporated soon after, the draw in Birmingham just the first in a series of four winless games. From the next 21 points available, Arsenal gleaned a mere seven, powerless to resist as Manchester United usurped them with six consecutive wins. It was only later that Wenger admitted that the debacle of St Andrew’s had “created some unrest” in the team. 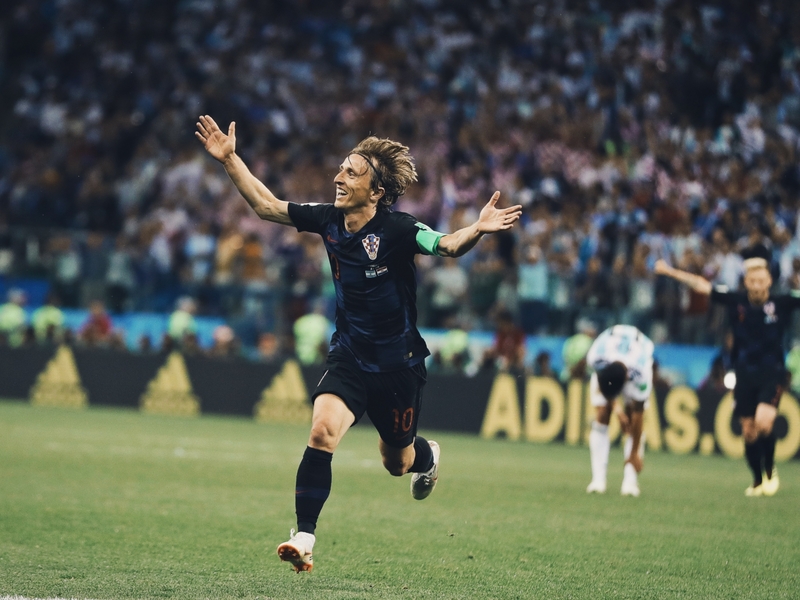 A season which had promised so much had disintegrated; more importantly, though, the game crystallised an idea that had been taking root in the footballing discourse. Arsenal, as the injury to Eduardo demonstrated so clearly, could be ‘got at’, put off their game by pressing hard, ugly and not always fairly. Suddenly, Wenger’s failure to replace the likes of Patrick Vieira, Sol Campbell and Ray Parlour seemed negligent. Denílson, Abou Diaby and Theo Walcott were all talented but they lacked the grit and wiles needed to survive a Premier League streetfight. As Arsenal’s stricken players watched Eduardo writhe on the turf, an idea fomented which Patrice Evra would summarise perfectly just a year later. Playing against Arsenal, he said, was like playing “11 men against 11 children”. “Can you be better than you were before?” It was a simple question, one that Eduardo must have contemplated during his 11-month absence from the first team. He had just completed 90 minutes in a reserve fixture against Stoke, his second comeback after a game against Portsmouth had been stymied by a hamstring strain a month before. The reality was that nobody knew the answer. Wenger was slow for turning, though, concerned that whilst Eduardo appeared to have recovered mentally, his body had been slower to adapt, the metalwork implanted in his leg restricting his pace and mobility. A month later, any doubt was eradicated. On 16 February 2009, the “best day” of Eduardo’s life saw Arsenal welcome Cardiff City to the Emirates in the FA Cup fourth round. Twenty minutes into his comeback, Carlos Vela drifted in a cross from the left-hand side. 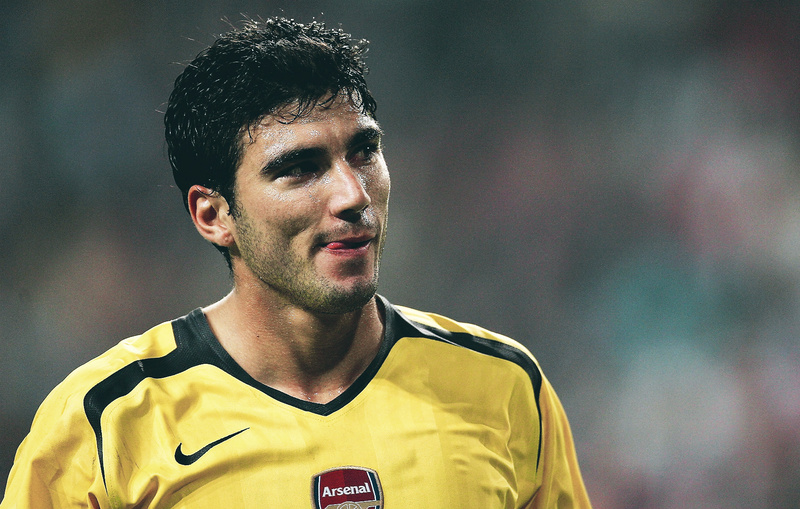 Eduardo, not for the first time in a Gunners shirt, ghosted into space to direct a header into the net. Even better awaited in the next round. Arsenal trampled Burnley 3-0, but it was Eduardo’s 51st-minute goal that summed up everything about what made him special. After Alex Song’s lofted pass, the Croatian struck the ball first-time with the outside of his foot, scything beautifully past Brian Jensen and into the far corner. How dare you be that good,” proclaimed ITV’s bewildered commentator Peter Drury, with Wenger claiming it was the best goal he’d seen all season. For all the beauty of the goals, however, Eduardo’s new reality was inescapable. He was now a squad player, given run-outs in domestic cup competitions and meaningless Champions League encounters. His only contribution of note the following year would arrive in a tumultuous Champions League qualifier against Celtic, with the Croatian accused of diving to secure a penalty. A review found him not guilty of simulation, with even David Beckham compelled to speak out on his behalf. The result, however, still leaves a bitter taste in some quarters of Glasgow. Eduardo would score just three more goals that campaign, with the summer arrival of Bordeaux striker Marouane Chamakh pushing him finally towards the exit. Shakhtar Donetsk’s latest import was trying to stay neutral. Over £6 million pounds had been enough to tempt Wenger’s hand, with Eduardo lured to the Donbass Arena by the promises of his national teammate Darijo Srna. With the 2010 World Cup looming, all parties felt that a transfer could reinvigorate his flailing career. Now, he was being asked if he had divided loyalties. Despite praying not to be drawn alongside his former teammates, Shakhtar were pitted against Arsenal in Group H of the Champions League. The Miners were outclassed during their visit to London that October, and were five goals down by the time they lodged a consolation. Eduardo’s sweetly-struck volley brought the loudest cheer of the night, his name echoing around the stands as north London united in applause. They weren’t just congratulating him on his recovery; they were welcoming him back to a home he should never have left. As the Gunners scampered to consecutive Champions Leauge places, Eduardo tried to concentrate on his own footballing redemption. Matters in his personal life, however, would soon make that very difficult. In 2011, he was sued by his former agent, Zdravko Mamić alleging that he hadn’t been paid his rightful share of Eduardo’s earnings since the Arsenal transfer. Mamić, who has been described as “the Alpha and Omega of Croatian football” by the coach Ciro Blazević, secured similar agreements with Modrić and Dejan Lovren whilst they were budding talents in Dinamo Zagreb’s youth ranks. Eduardo rebuffed the suit, claiming in his own legal case that his inability to understand Croatian meant he didn’t know what he was agreeing to. He managed to void the contract in 2014, but he made his feelings about Mamić clear when he retired from international football the same year, hitting out at those “who are not formally part of the squad but have a big influence on its work and officials”. Everybody knew who he was talking about. Nevertheless, Eduardo blossomed in Ukraine, voted player of the year in 2016 after a season brimming with clinical, skilful goals. After a fruitful loan spell with Flamengo three years ago, he finally returned to Brazil in 2017 with Atletico Paranaense, but the club cut their lossses after a short, injury-ridden spell. Aged 34, the lustre in his boots finally seems to be fading. “It wasn’t my fault I broke my leg,” said Eduardo in 2010. “But it’s true to say that moment changed my sporting career. I don’t know what would have happened if I hadn’t suffered the injury”. Who knows what would have happened to Arsenal, either. Robbed of their best finisher in years, scarred by the revulsion of his horrifying injury, a first Premier League trophy since the Invincibles slipped achingly out of their grasp. It’s a moment that, even now, they struggle to move on from.